English International, Wayne Rooney is finally set to pay under Jose Mourinho at Manchester United as the Portuguese tactician will be announced soon as the third coach since the departure of Sir Alex Ferguson in 2013. When he finally takes charge at Manchester United, Jose Mourinho will have a whole host of problems to sort out. Despite the huge spending under Louis van Gaal, Mourinho takes over a United side without Champions League football, with an inexperienced squad, and with just one FA Cup to show for the three years of football since Sir Alex Ferguson retired. On Mou’s arrival, he would have to answer questions regarding keeping Wayne Rooney who is captain at both club and international level who is not only uncertain of his place in the team, but also of his best position. If he is a striker, then only one goal since February, and only eight in the league this season, is not the sort of return that Mourinho can tolerate. As a midfielder he has rarely convinced, and doesn't suit the template of the type of player the former Chelsea boss usually employs. Fortunately for England's all-time leading goalscorer, the arrival of Mourinho might be the perfect tonic. 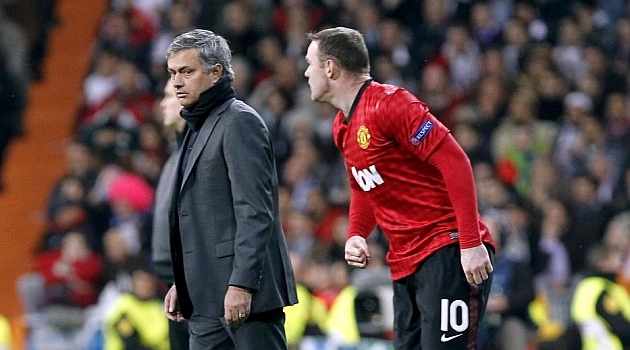 There are few managers who have been more openly enthusiastic about Rooney's talent, nor more confident in his ability. With Mourinho installed, Rooney has been catapulted up the top of the top goalscorer betting index on StanJames, with on Kane ahead of him. With Rooney more matured now and options that exist in Marcus Rashford and Anthony Martial, Mourinho would be faced with the huge task of keeping the player and using him if he does. He criticized Roy Hodgson for using the player wide instead of in a central forward position in the 2014 World Cup for England. With a huge task ahead of the tactician, there remain concerns that he would keep the player and in which role, despite being a fan.